Earthenware storage jars from Portmeirion featuring two floral designs. 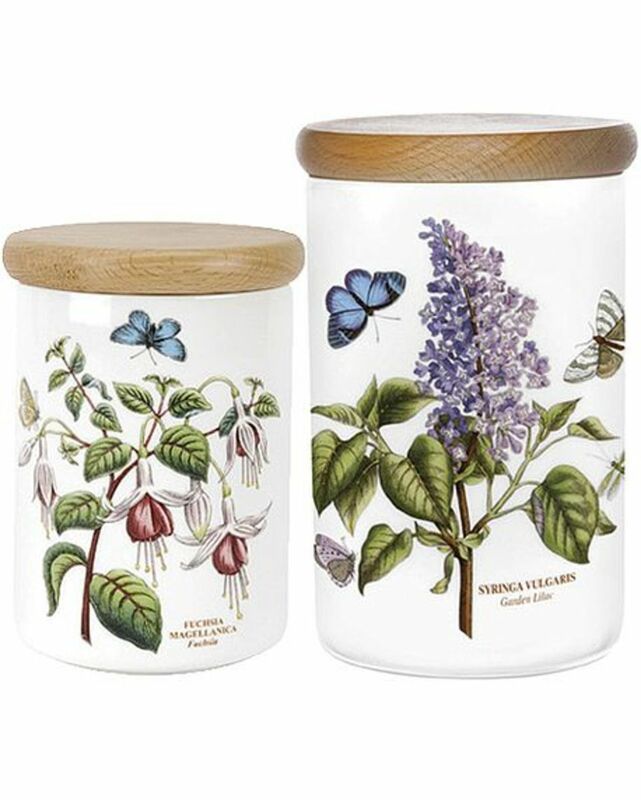 Attractive wooden lids with airtight seals. S( 14xcm tall) Fuchsia design, M(18cm tall ) Lilac design.